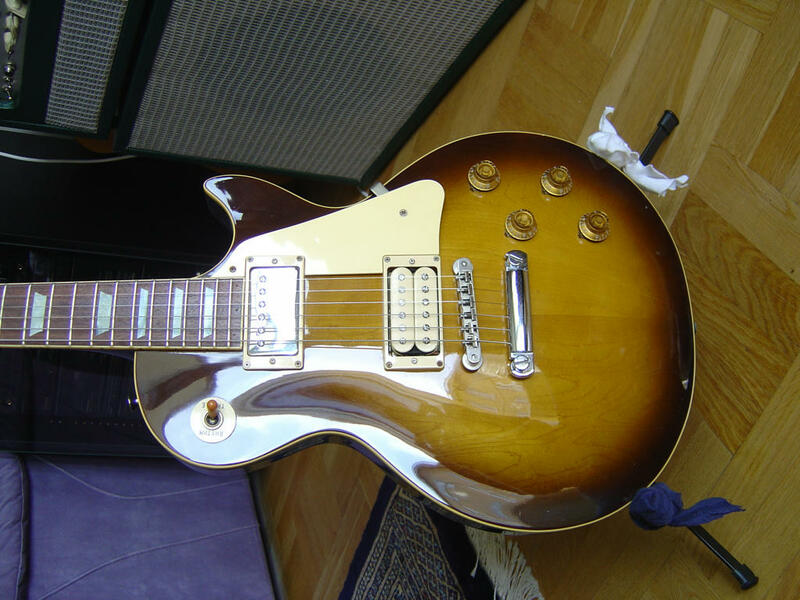 Tokai Forum - a subsidiary of TokaiRegistry.com :: View topic - Which 1980 Les Pauls had 2 piece top's? 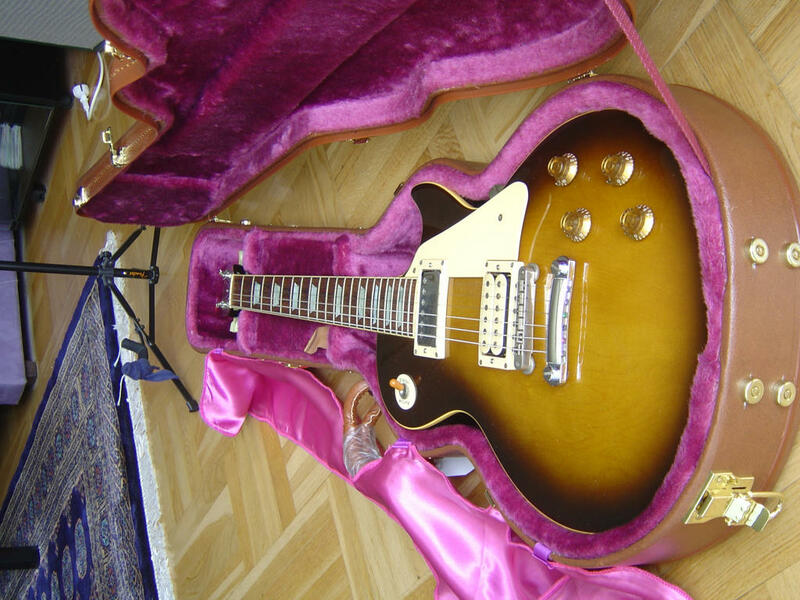 Posted: Wed Feb 06, 2008 3:42 pm Post subject: Which 1980 Les Pauls had 2 piece top's? According to japanstrat's answer in that thread, 2-piece tops were only found on EG-700 and up. Recently I saw a EG-500 that looked like it had a 2-piece top but I'm not sure. 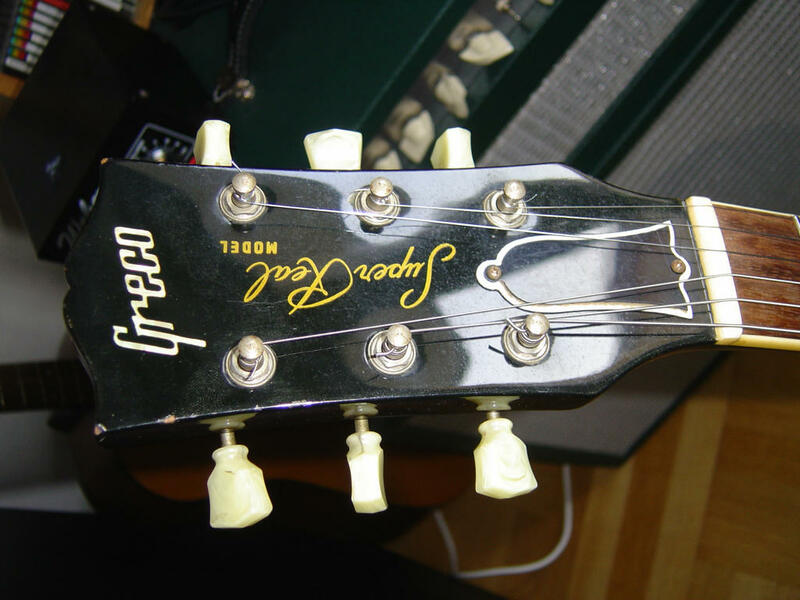 So was there any low-end Grecos (EG-450-500) made with solid body and a 2-piece top or did they all have 3-piece tops? Another problem identifying this guitar is the pickups, that don't have any signs on them except for a "X" on the bridge PU. The Grecos can have variable specs sometimes. At the bottom of this page there is a low priced Greco Super Real with a 2 piece top and it looks like a Sycamore top EG480. My Greco Super Real EG500 is the same as the centre one. I think the low priced Greco Super Reals sometimes have 2 piece tops but might be chambered or have the lowest priced pickups. did you mean 1980 Super Sound or Super Power models instead of Super Real models? Yes the Super Power models are sometimes chambered from what I can remember but I'm not certain about the 1980 EG480 and EG450 models from the Super Real catalogue http://psyco.jp/greco/c12_09.html. There isn't a great deal of info around on the low end Grecos from 1980/81. The 1980 Super Real catalogue EG480 and EG450 models seem to have no logo and then go on and become the Super Power logo models by 1981. Japanstrat. Some of the info on your post on japanaxe is not quite correct. It states the 600 and upwards have 1-piece backs, my 850 is 2-piece and I've seen a 3-piece 850 as well. Ah, I got the layers and pieces mixed up. Will fix. It seems like the EG450 and 480 have sycamore tops, is there an easy way to see the difference between maple and sycamore (isn't sycamore some kind of maple too?)? Does a Sycamore top affect the weight on the guitar compared with a maple top? if the EG450-480 never had a logo during 1980 then it can't be one of those models. How about fret edge bindings? Did the Eg450-500 have that? Sycamore is a type of maple. The 1980 EG450 and EG480 had Sycamore tops and no fret edge binding and had Maxon stamped 2XXXXX or 1XXXXX UD pickups. Your Greco must be at least a EG700T because you have a 2 piece Maple top. 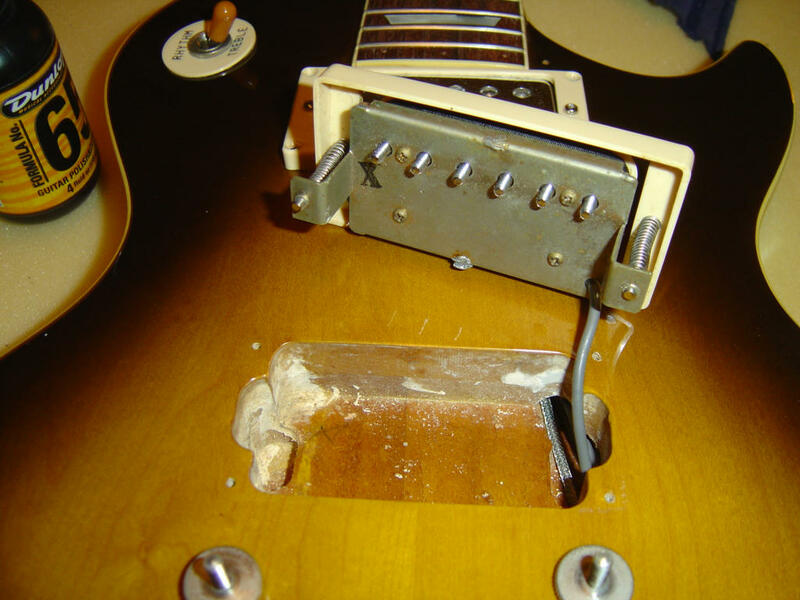 You don't have the original pickups and someone must have replaced them before you bought the guitar. The original pickups should have a 1XXXXX or a 2XXXXX stamped on them because that's what Nisshin Onpa (Maxon) was stamping on all the Greco pickups (including the DiMarzio PAFs) in 1980. The DiMarzio pickups have "DiMarzio Pickups" "Made in USA" imprinted on the baseplate and have a Nisshin Onpa (Maxon) 1XXXXX or 2XXXXX code stamped on them. It could be a EG900T. The EG900T has a nitro finish and DiMarzio pickups. You say you have one pickup with an X marking and one pickup without so they don't seem like the DiMarzio PAFs to me, so whether you have a EG700T or a EG900T I think someone has swapped the original pickups. The EG900T has a nitro finish and the EG700T has a poly finish. 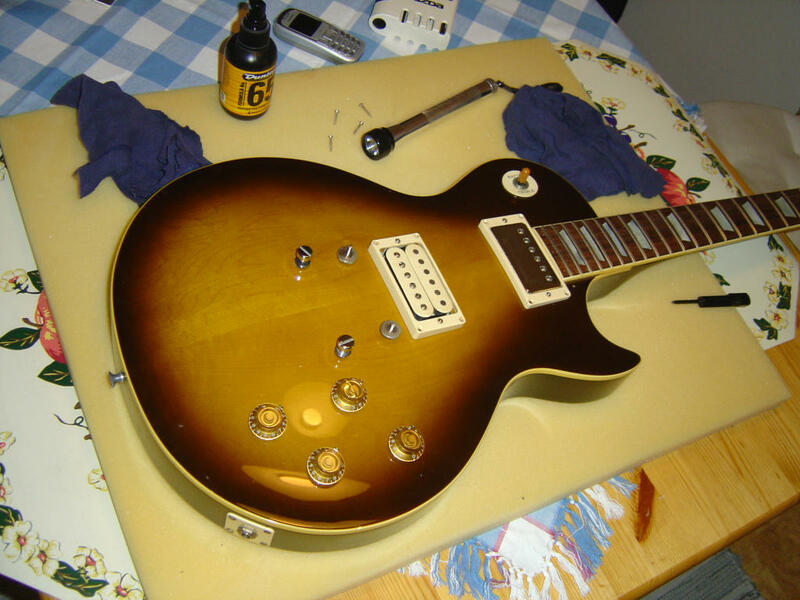 If you really want to you can pick some finish in the pickup or control cavities and put some acetone (using a cotton bud?) on it and see if the finish goes dull. If it does it's nitro and it's a EG900T. btw I definately have a EG500T from the translated specs with a 3 piece Maple top. Mine also has fret edge binding. Thanks again Japanstrat, I will do the nitro test to see if it could be a 900. Anyway it's a great guitar.